Located in Eaton Rapids you will discover a home that is Ideal for first time homeowners, those looking to down size, or those who are searching for the perfect country home! 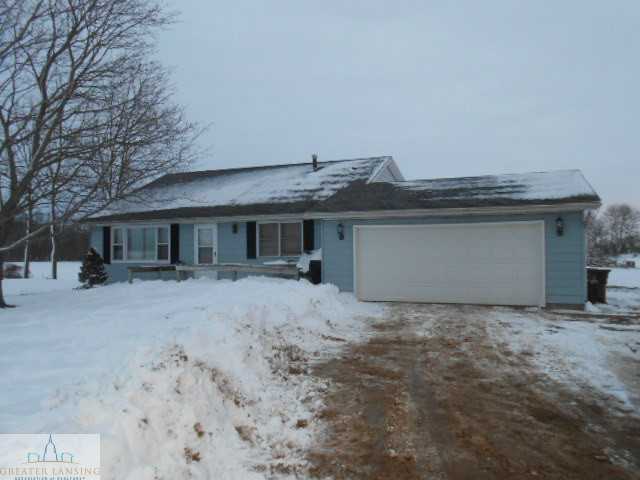 This tri level home features 3 bedrooms, 2 full bathroom, a barn, and much more! The main level features a spacious kitchen/dining room combo, and a cozy living room. All 3 bedrooms are located on the second level as well as a full bathroom. The lower level features a finished rec room, full bathroom, & family room. This home also features a large deck out back that is great for summer BBQ’s and entertaining, attached 2.5 car garage, barn, and just over 1.5 acres of land. For additional information and photos on this property click here! Posted on March 17, 2014, in All Other Listings. Bookmark the permalink. Leave a comment.